desktop chats with Apple’s former director of engineering and current hardware lead at Square Jesse Dorogusker on designing for small things, restraint and empathy. Jesse Dorogusker is no stranger to designing for disruption. He spent eight years at Apple as its director of engineering for iPhone, iPod, and iPad accessories and led the development of the Lighting plug connector we all know and love. 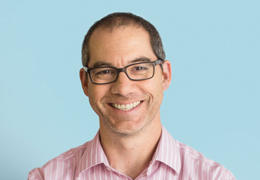 Dorogusker then moved on to work with Square – a mobile payments company – where he leads hardware product development at Square, including design, cross-functional engineering, manufacturing, and operations. Since 2011, Dorogusker and his team have created two major products: the Stand for Register, a countertop iPad holder that allows businesses to easily accept payments either with a credit card or wirelessly, and the Square Reader and its most recent update – the Square Contactless + Chip Reader, launched in Australia two months ago. The Contactless and Chip Reader empowers sellers to accept tap-and-go transactions from contactless cards and mobile wallets such as Apple Pay, Android Pay and Samsung Pay. It is the smallest NFC-enabled reader available in the market. desktop caught up with Dorogusker and learnt all about the new chip reader but more importantly we took away lessons on designing for small things, restraint and having empathy. 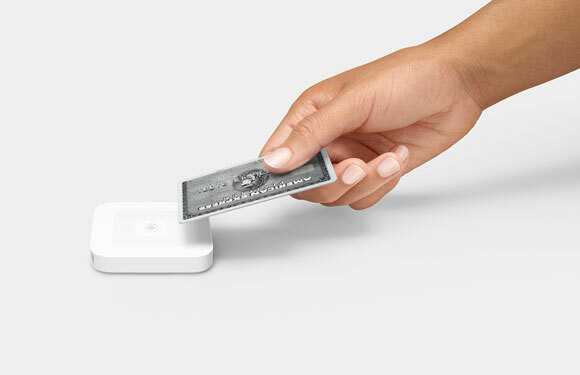 Square’s full suite of services is disrupting the market of payment solutions. Let’s backtrack a little bit there. What does ‘design for disruption’ mean to you? I’ll challenge the phrase from the start. The purpose of design is not necessarily to disrupt. I think it’s to engage, to communicate and in the case of the products we make, it is very distinctly to include. Designing is about understanding your customers and what their needs are, understanding the description of the conditions they find themselves in and having empathy for those conditions. And then the act of design is synthesising that with what you know about technology or various aspects of engineering, product design and so on and coming back with an offering that provides solutions to their conditions. I think the most notable disruption that Square is bringing in now is the accessibility of our products. They’re very much affordable and businesses of all sizes can purchase them easily for their own needs. In your own words, what is Square’s design philosophy? Hardware is one aspect of the products we offer and I run the hardware team. And we’re about 100 people but that is across all disciplines of design – engineering, mechanical, electrical and software engineering. But there’s also the software that runs on iOS and Android systems and these software programs we have include financial payments systems, network systems – programs that run on the backends of banks and so on. The software has to be seamless, the hardware has to provide the necessary support. It all comes down to this: I believe that having a vision for design is nice but being able to execute on it is imperative. Design isn’t the box that wraps around the product. The product is the design, the work and the box is just the pretty stuff that goes around it. 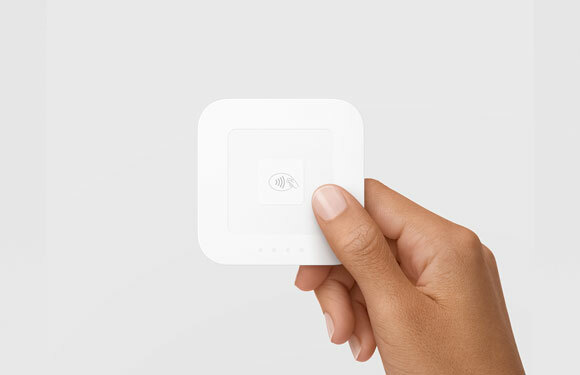 The latest Square Reader, launched in Australia in September, is two times thinner than its predecessor with a new custom made chip that was years in development. But notably, it’s a very focused product with one purpose – swiping credit cards. How was the design process in this card reader’s redesign? Any design process is usually iterative. There’s a lot of overlapping circles. It is messy and very hard to describe linearly. Any description i give you that sounds clean would be false. But the process usually starts with a really good understanding of the customer, a strong sense of empathy of what that customer is trying to do. Then there’s a pile on of assumed requirements, actual requirements, tehcnical challenges, cost challenges and so. But what my team here is really good at is sorting these requirements and challenges out. There’s a strong understanding of trade-offs between costs, power and performance, and the type of market. It’s important to not do that. Because if you do then you end up with a product that is… really not good at anything. And I think we’ve been really good at editing this product down to be what it exactly needs to be. This product does not tell the time, doesn’t play music and only does what it needs to do – swipe cards. We’re also very disciplined with the colour we chose. The white icon has been a way for sellers to communicate that they accept cards and that you can trust your payment with them, that they will handle your information well and you’ll get a receipt and so on. I’m sure if we made this in pink, it would fly off the shelves but the product has a responsibility to communicate what it is, what it does and who it is for and what it means and we’ve been really disciplined about that. What are your top three tips to young designers that would help them challenge themselves? Design everyday. And sometimes that means a sketch and it does not have to be something that is within your area of expertise. It could be a sketch, a postcard, anything, but design everyday. Two, and I said this earlier, designing something you cannot execute on in the end is foolish. For a young designer, you may not have all the tools to execute the entirety of your vision and that’s okay but you need to have that curiosity on the next steps of the process. So if you want to sketch a chair that is made up of bent plywood, it is good to go and figure out what it means to bend plywood for example. And you may spend years trying to refine this process but it is always good to really understand how your design decisions manifest in the materials, the operations. And lastly a word of caution: design is not the wrapper; design is not the pretty thing you do at the end to make the box pretty. It includes what is in the box. Design is very end-to-end and it includes human factors, technology, aesthetics and so much more.